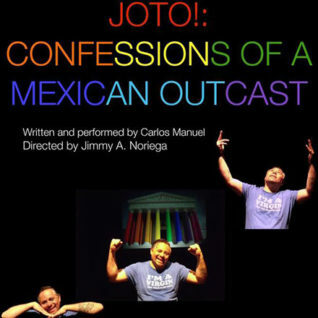 This May, CCC Dramatic Arts Department Chair Carlos-Manuel Chavarria took his show “Joto: Confessions of a Mexican Outcast” to the largest gay theater festival in the world! Chavarria performed “Joto” at CCC’s Knox Center last year, where it was met with a rave review from The Advocate. Organizers then selected it out of a field of over 100 submissions from around the world to run for seven performances at this year’s Dublin Gay Theatre Festival. If you missed “Joto” at CCC last year, be sure to catch the special return engagement this fall! And if you’d like to know more about Chavarria’s adventures in Dublin, you should definitely check out his blog!